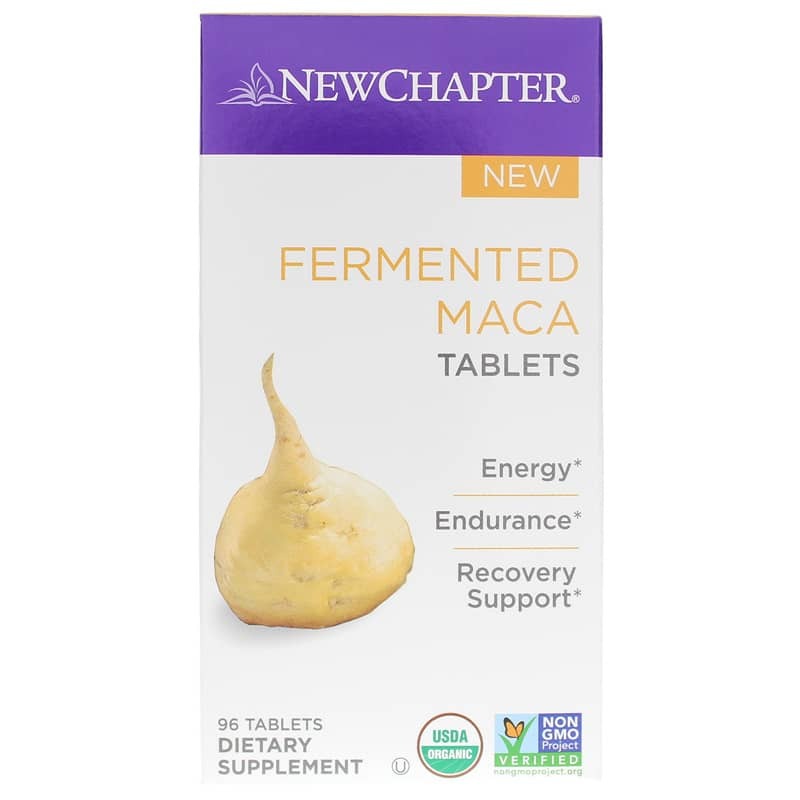 Fermented Maca Tablets from New Chapter is a whole-food, nourishing supplement with organic Maca, organic Schizandra, and organic Cardamom to provide energy, endurance and recovery support. 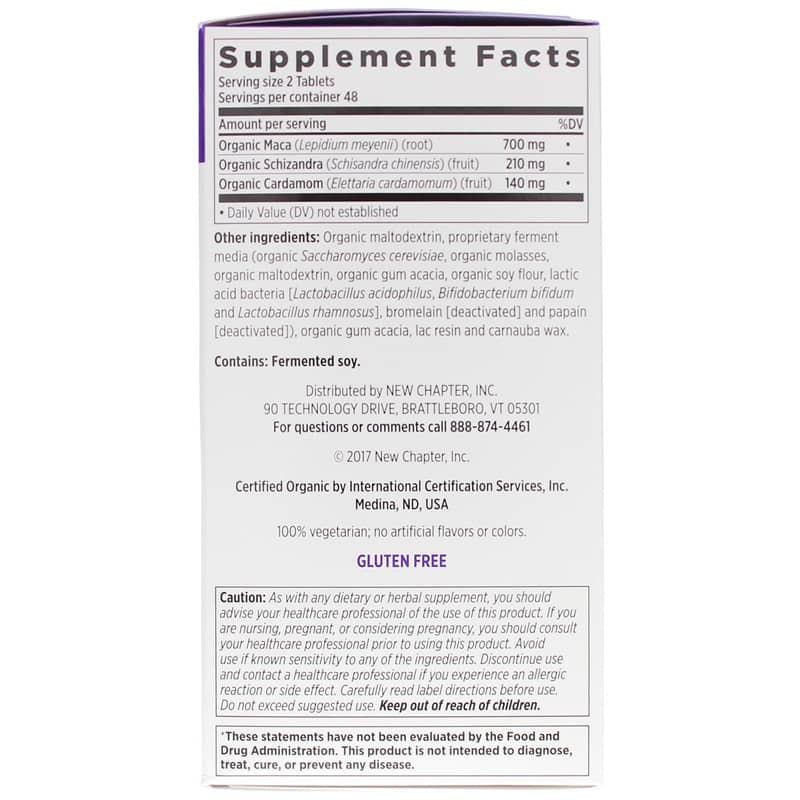 Thanks to adaptogenic properties, New Chapter's expertly formulated Maca supports energy, endurance, and recovery for a daily boost. 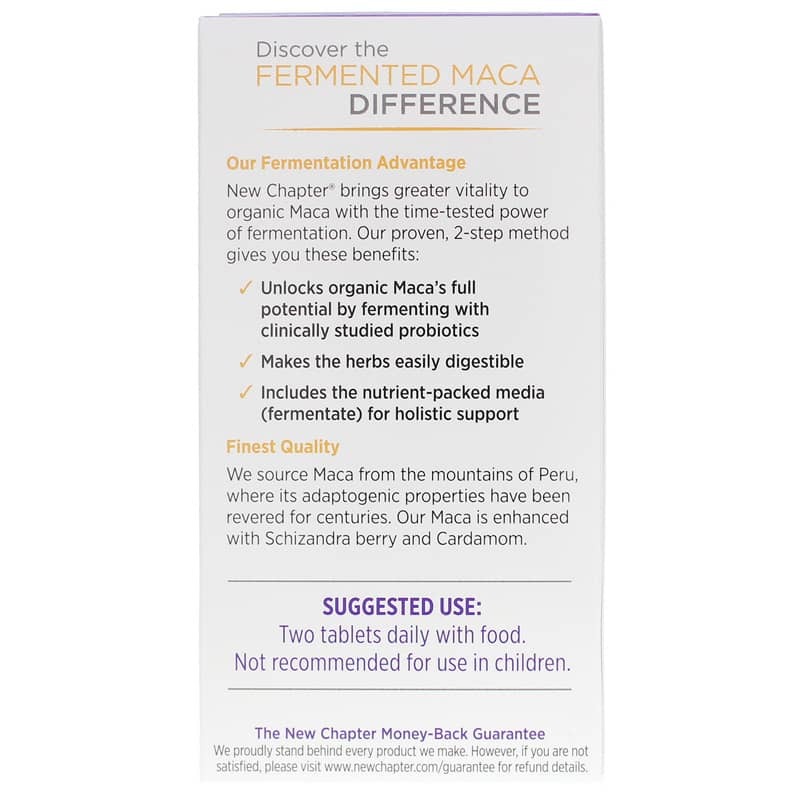 New Chapter's proven fermentation method delivers Maca in its truest form, making it easily digestible. Adults: Two tablets daily with food. Not recommended for use in children.